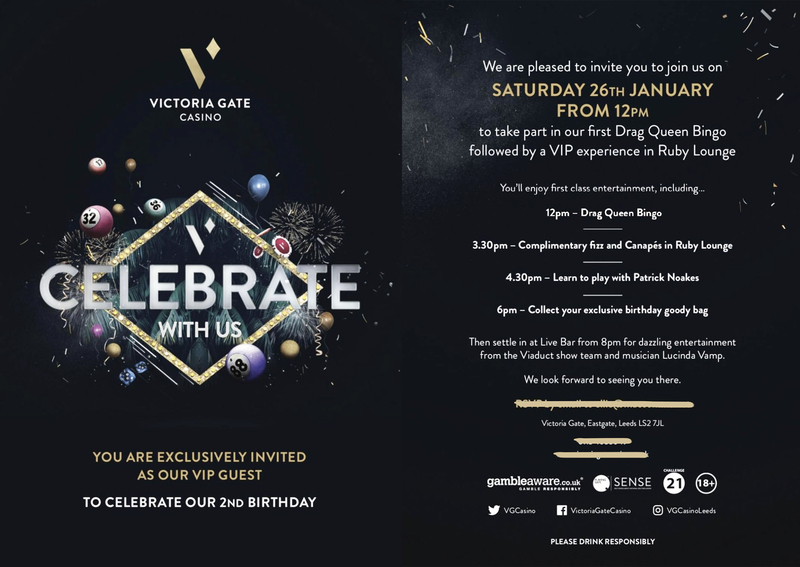 On Saturday, I had the pleasure and privilege of attending the Victoria Gate Casino’s 2nd birthday as a VIP guest – oooh fancy, I know. 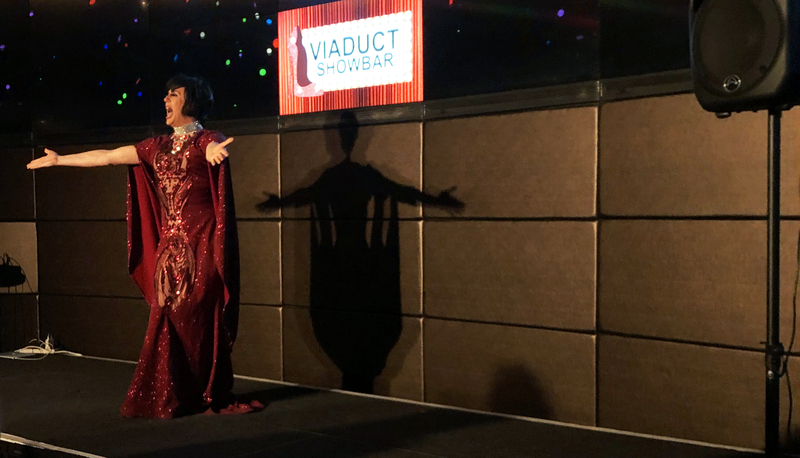 And to celebrate their anniversary, the casino decided to bring in the best kind of entertainment around town – drag queens! Yes, we got to enjoy some fabulous entertainment and Drag Queen Bingo. 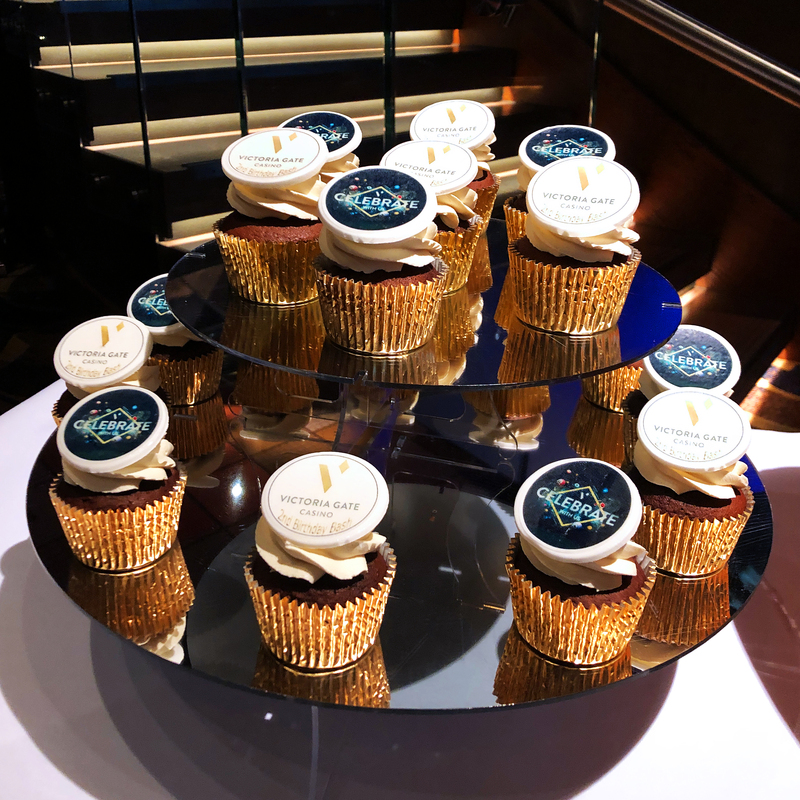 To celebrate their 2nd birthday, the Victoria Gate Casino decided to add a little sparkle and sass to their night with the help of some drag queens and a whole lot of camp comedy. 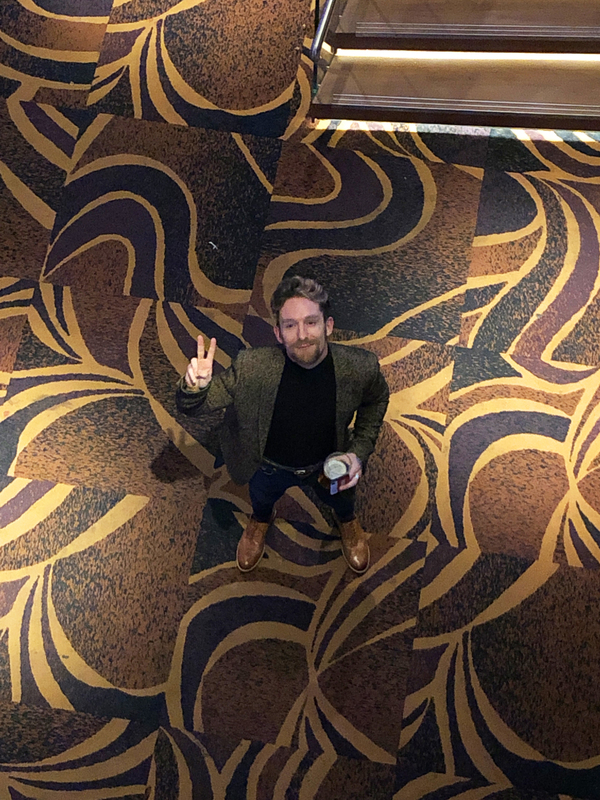 I went alone… because I’m a loner (jokes) but there were a few bloggers in attendance that I knew so it was nice to meet them properly and get to know them better. Anyway, we got to enjoy some high-octane Drag Queen Bingo and honestly, I had an absolute blast. We got to hear some pure camp humour, old-school bingo calls and a lot of laughter. Sadly, I didn’t win any games but I came close on 3 different occasions – darn. 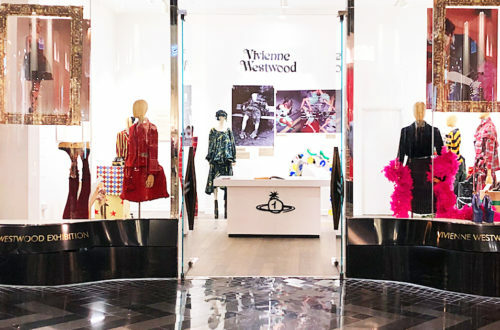 The prizes were good too, from cocktails to free dinners in the V restaurant. 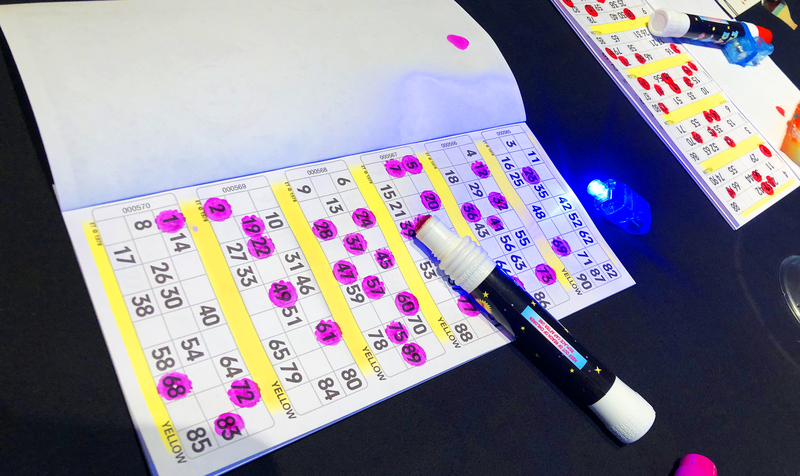 At least I got to keep my pink bingo dauber. 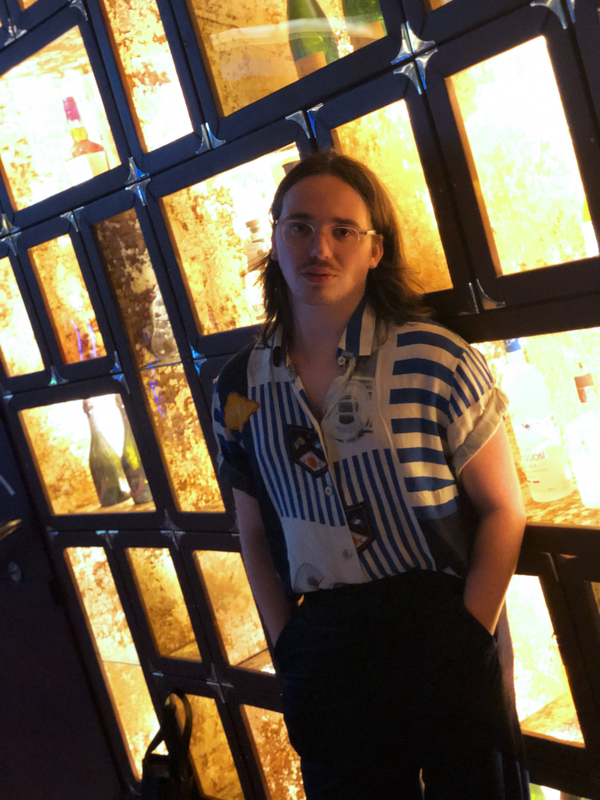 Once we’d finished our rounds of Drag Queen Bingo, we were escorted into the Ruby Lounge which is usually exclusively accessible by higher-tier members of the casino. 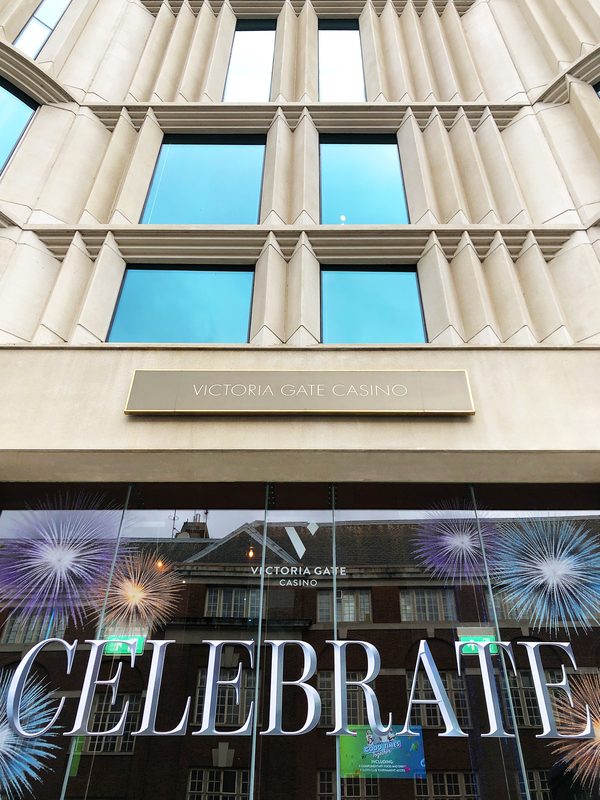 Once we were there, we got to meet Patrick Noakes, the managing director of the Victoria Gate Casino. 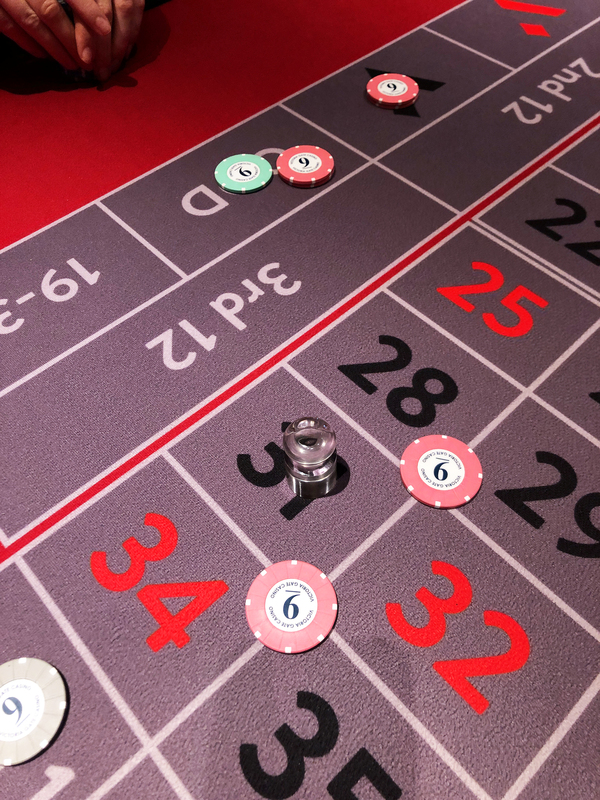 Patrick gave us all a private masterclass in roulette where we got to learn some of the more complex betting strategies, rules and statistics. Being the cheeky little mite that I am, I asked Patrick if I could have the pink chip as I feel like they’re my ‘lucky chips’ – in reality, I just like pink. But I wasn’t wrong, in our first spin of the board, I was the first person to come out on top. I got two chips on the corner of 31 as well as chips on the Black and Odd section – BOOM! Meeting Patrick was a real treat. 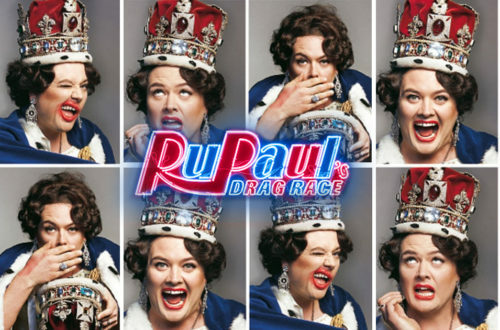 It was really interesting to hear about his visions and his support for the community which is one of the reasons why he wanted Drag Queen Bingo to come to the casino. 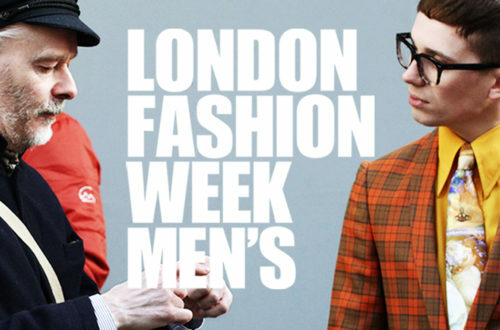 Not only that – but he wants it to become a monthly feature! 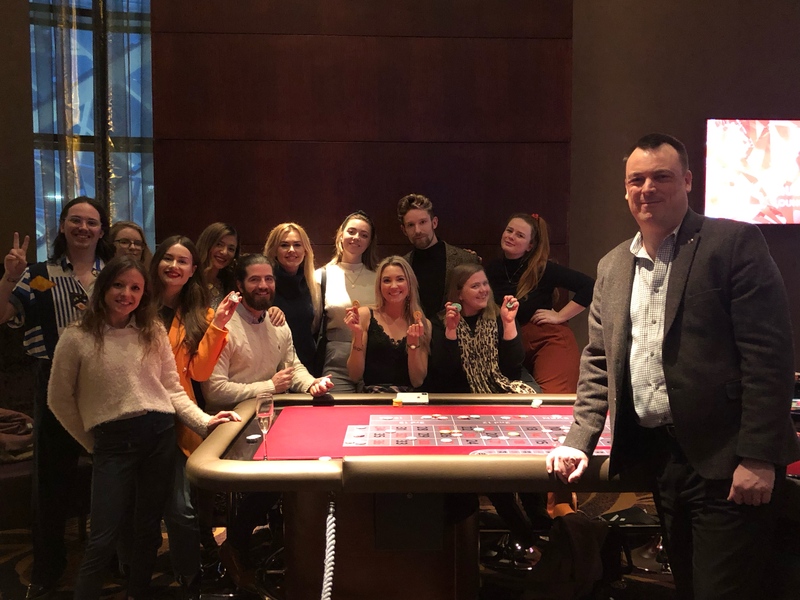 After our roulette masterclass, we got to enjoy some canapés and champagne at our leisure and we got to have a gossip with the gang. The food was delicious and, of course, me being me means that I immediately started asking staff members if I could take pictures from some more ‘exclusive’ vantage points. Surprisingly, they said yes and I got to head upstairs to get some amazing snaps of the casino. Not only that, but I managed to catch a quick snap of a drunken Stanley Dru from above. 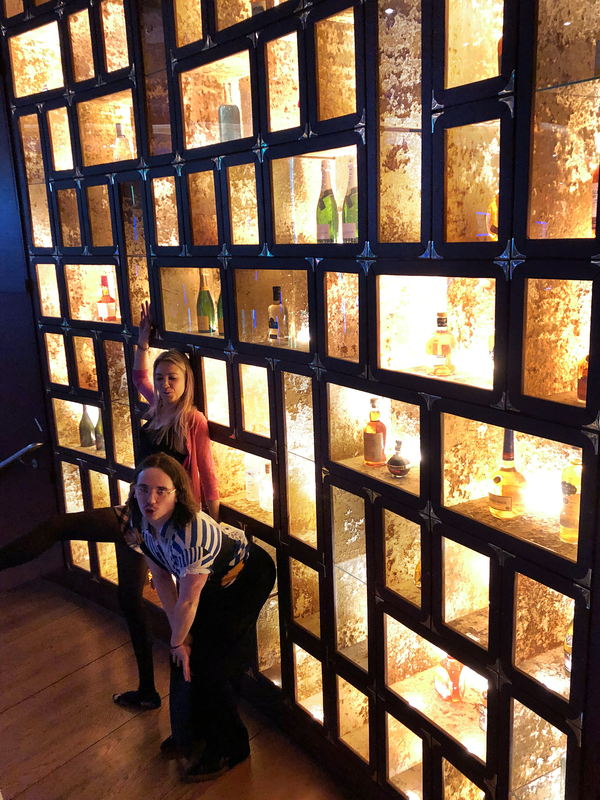 Then I thought it was about time I got a quick picture in front of a decorative backdrop and so I went straight for the enormous alcohol display. Believe me, it’s huge! And I was rather drunk so it felt like a match made in heaven. And then to top off the night, the Viaduct Showgirls (who I always enjoy seeing) brought their show to the casino and it was spectacular! 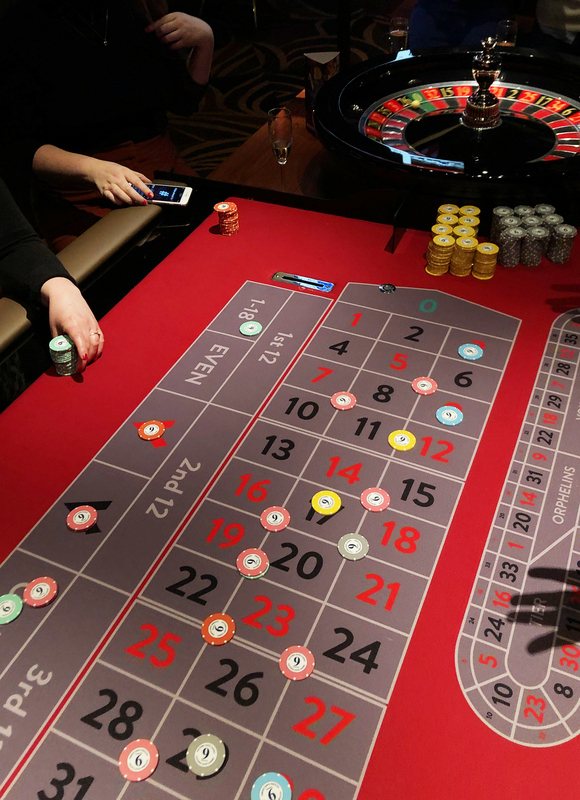 To bring a level of queer, campy fun to a whole new audience in a casino felt really exciting. 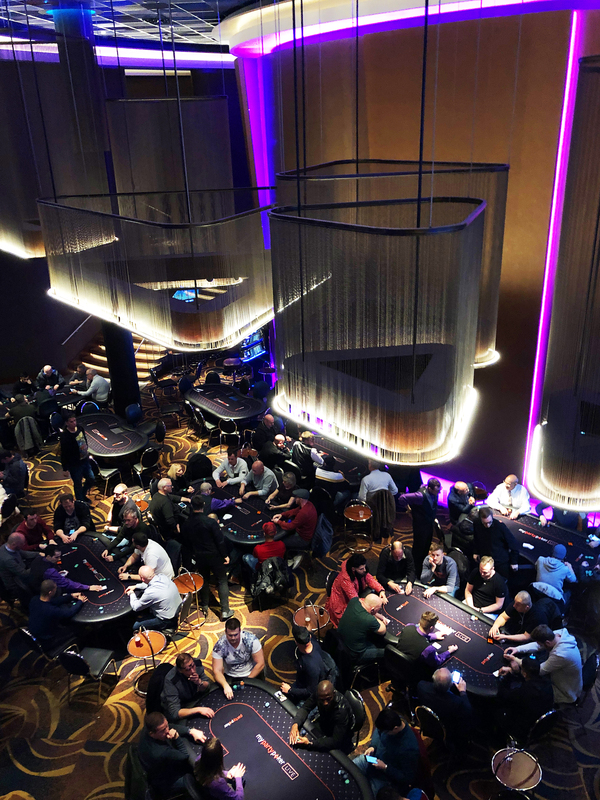 Bravo Victoria Gate Casino for getting to know (and include) your community. 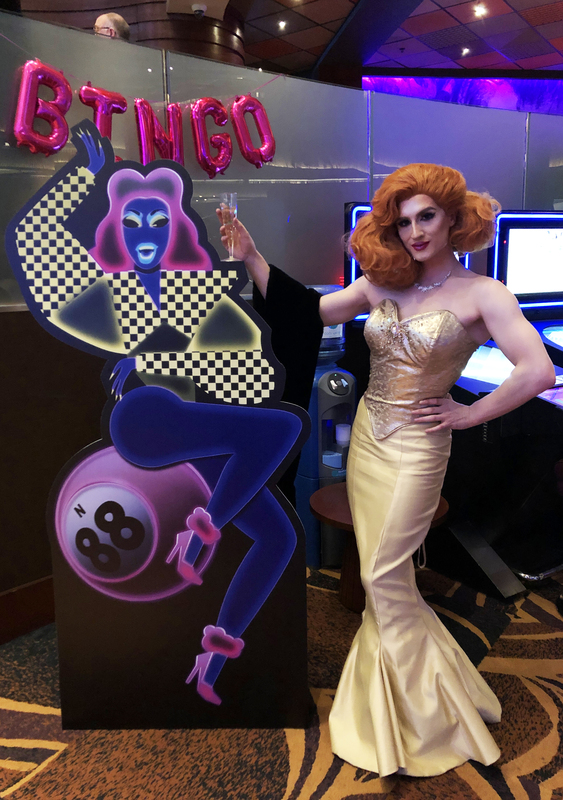 I can’t wait for the next Drag Queen Bingo and I would strongly recommend everybody else getting down to the casino to experience it first hand.